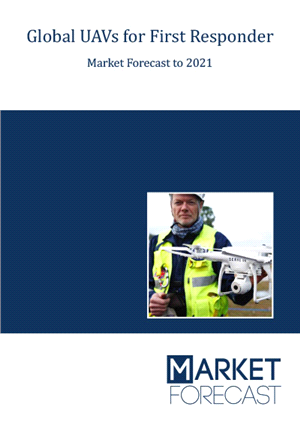 The global Unmanned Aerial Vehicles (UAVs) for First Responders Market is valued at US$ 487.6 million in 2016 and is projected to grow at a CAGR of 7.3% to US$ 693.2 million in 2025 with a cumulative market volume of US$ 3,649 million. First Responder UAVs Are Finally Getting Serious. Law enforcers and other First Responders have a very poor track record with ‘drones’ or Unmanned Aerial Vehicles (UAVs). 1.2. What are First Responders? 1.6. Who Will Benefit from this Forecast? 2.1. What are UAVs for First Responders? 2.1.1. Who will these UAVs Help? 5.4.1. UAVs are Strange and Scary.